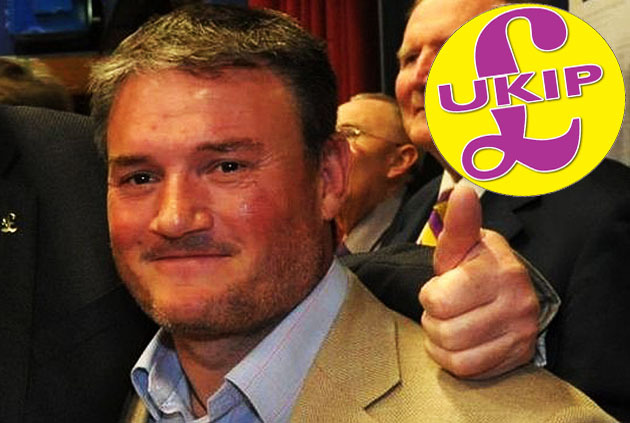 TheBlueGuerilla: UKIP Councillor 'Will Have To Step Down' After Torching Womans Clothes. UKIP Councillor 'Will Have To Step Down' After Torching Womans Clothes. A UKIP Councillor elected last May today says he will have to step down after he pleaded guilty last week to Arson at Aldershot Magistrates' Court, TBG can reveal. The Rushmoor Borough Councillor, Malcom Small, sensationally admitted burning clothes belonging to a Kim Van Opdorp, whom nominated him for the position, at his home on February 4th. Small told local reporters - "I enjoy my job but I will have to step down if I go to court and I feel that's so wrong when I enjoy helping people."